Another episode of the LinuxAsia event is round the corner. Like the last year, Microsoft is there again. Is it appropriate of the most closed company to be there at the event? That whole Mono entanglement [1, 2, 3, 4, 5, 6, 7, 8, 9, 10, 11, 12, 13, 14, 15, 16, 17, 18, 19, 20, 21, 22, 23, 24, 25, 26, 27, 28, 29, 30, 31, 32, 33] seems to be getting worse all the time, but almost nobody cares to notice. GNOME developers think we are harsh and try to shoot the messenger, but all we are trying to do is help by drawing attention to the problem. It won’t go away if you ignore it. Soon, it will be IMPOSSIBLE to “unMonofy” your GNOME, as once you will get rid of Tomboy, F-Spot, Beagle, Banshee, Muine, Telepathy, whatever, you won’t be able to remove Mono, as it will be required as a GNOME system library! Can you send a link to a public page where Waugh makes that assurance? If so, I can try to make sure it gets some mileage. It’s one thing I never learned as a kid and have no idea how to go about trying: how do deal with bull*****ers like Waugh, who even as they are speaking you know they are lying or have no intent of following through but courtesy and protocol otherwise require accepting the statements at face value. One solution is to nip the mono and excise all MS tech from GNOME. A second, in parallel, is to low-key, calmly and quietly insist on KDE and Fluxbox, especially in popular distros like Ubuntu and Fedora. For context, see this thread in the GNOME Foundation’s mailing list. This long discussion was started by Richard Stallman, who happened to be aware of our work. Therein you’ll find claims that GNOME does not depend on Mono. Jeff made that claim repeatedly in this site, but it would take some digging to find several individual examples because he left about a hundred comments. It is, by this stage, becoming clearer that Jeff Waugh’s promise was not trustworthy. GNOME is apparently becoming Mono-dependent, which is a shame. We saw that coming. Remember that Mono is a Novell project and only Novell customers receive so-called 'protection' for the use Mono (due to expire in January 2012). Need we even start to wonder again why the ‘Novell part’ part of the GNOME Foundation supports OOXML and even helps it? 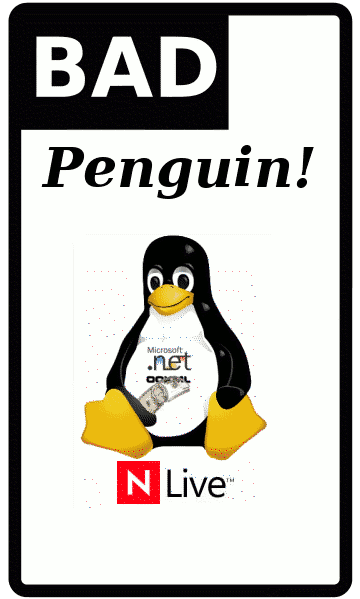 Remember that Microsoft pays Novell to support OOXML. So, Novell seems to have resorted to fear as a strategy for selling itself and it’s poisoning GNOME for everybody else who uses it. The image below is a depiction of Novell. Please address this problem before it becomes truly irreversible. Can Nokia Finally Understand Why Software Patents Are Harmful? The Free software world is very fortunate. It is resistant to hostile takeovers thanks to choice and diversity, which remain a necessity despite some detrimental side-effects. We discussed the Nokia-Trolltech status quo very recently and, depending on how you look at this, it usually looks negative [1, 2, 3]. If there is anything positive about this, it is the news that Nokia, a lobbyist for software patents, is now chewing its own poison. IPcom, an exploiter of patents based in Pullach, near Munich, is demanding 12 billion euros from the Finnish group Nokia for use of mobile telephony patents, reports Handelsblatt. IPCom is said to have lodged a complaint with the Land Court in Mannheim in early January, aimed at prohibiting Nokia’s use of eight patent families. That would mean a ban on sales in a large number of countries, though what particular patents are involved is not yet clear. Later on this month, Microsoft partners will find themselves behind closed door in Geneva, far away from the press and the public. In this secretive (or private) meeting they will sit down for the purpose of making a proprietary, patent-encumbered, Windows-only format an international standards. Do you trust them? We spoke about the broken process in Geneva [1, 2, 3] and there are many reasons for mistrust. While the shenanigans are behind closed door doing their thing we shall spend a week showing the reasons for mistrust. Think of it as a week-long, seven-day ‘chart’ which will take a glimpse at some of Microsoft’s past deeds which have it deserve little or no trust. Some of the examples will be criminal acts, for which the company was never punished (or paid to settle before a conviction was reached). So, NBs need to do their homework so that delegations arriving at the BRM in Geneva are fully briefed. The delegation should ideally know their national position on all 1,000 or so distinct comment/responses that could be discussed. It is the responsibility of the delegation to faithfully represent their national position (not individual divergent delegate views), and to be prepared to respond to any fresh issues that arise in line with guidance their NB has given them. Why settle for a rickshaw when you already have a car? 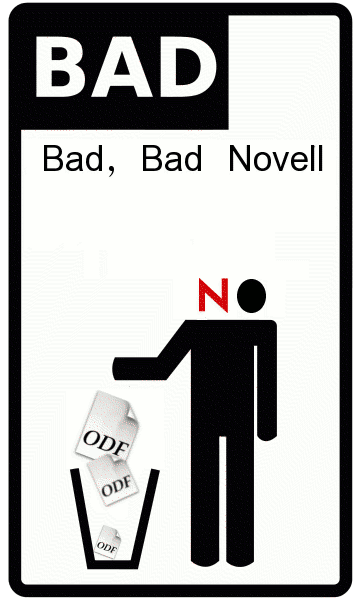 A couple of weeks ago we stated that Microsoft is apprently willing to embrace ODF. The company actually said something along those lines. To quote the article, “if individual governments mandate the use of ODF instead of Open XML, Microsoft would adapt.” Rob Weir has just invited Microsoft to consider harmonization. Microsoft’s response will be interesting. To address the request of a reader, we have just applied some technical changes to the Web site. The most notable change is the inclusion of PDF versions for each post. It’s far from perfect, but at least one reader believes it may be handy. There are far more sophisticated things we could achieve with the PDF translator shall you require them (we take the KISS approach for now). Yesterday we mentioned Microsoft getting children in Dubai 'addicted' to Windows [1, 2]. We also mentioned some mysterious deal that Bill Gates signed with a mayor of Paris. It’s a case of one rich man deciding with another ‘on behalf’ of the rest. Now it’s clear what this ‘special’ deal was all about. Bill Gates took the opportunity to enslave sign an agreement with the mayor of Paris that will provide educational and social services of the city with “free” PCs running Windows Vista (oh, Joy!). Call me envious, jealous, or simply evil, but it’s been a long time I don’t buy into Mr Gate’s social initiatives. I call them enlightened self-interest, especially when it’s about offering computers running Vista to the poor the very same day the French gendarmerie is announcing the migration of 70,000 desktops to Ubuntu Linux. Yes, you read that right. If there’s any news this week coming from France, this is it.